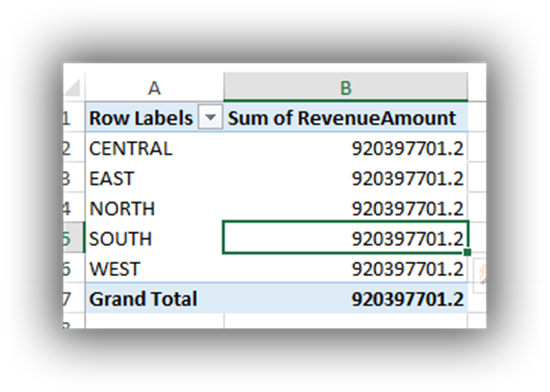 In our previous blog posts we explored how to bring data into Excel through Power Query (Part I and Part II). In this blog post we will take that data and prepare it for analyzing and visualizing in Excel. In order for us to do this we need to load the data into the Excel Data Model. 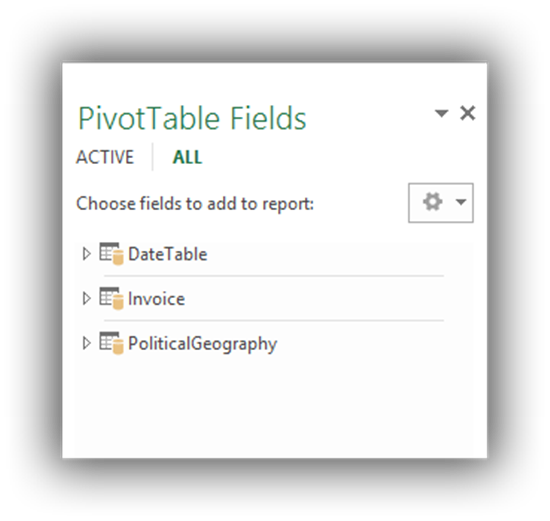 Loading data into the Excel Data Model allows you to use data in a way previously impossible in Excel. 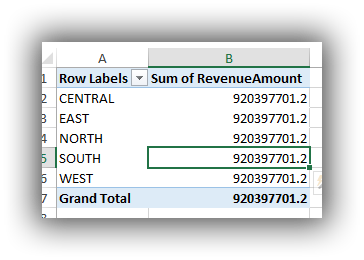 It allows you to create analytics and visualizations using multiple tables without writing a single VLOOKUP, load data that has more than 1.000.000 rows and add advanced business logic to your solution with Data Analysis Expressions (DAX) formulas. 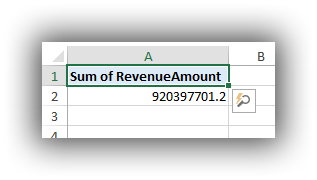 To load the data into the Excel Data Model you have three different methods, to load any table from Power Query into the Data Model you can select “Load to Data Model” and this will bring the data into the model. 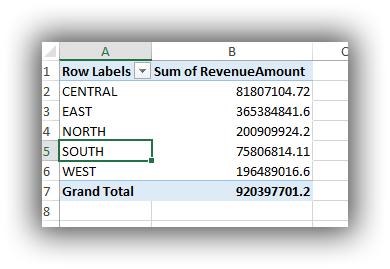 Besides Power Query there are several other ways to add data to the Data Model, you can use Excel’s get external data features or even directly import in Power Pivot. All these methods end up with the same result: one or more tables in the Data Model. In many cases this is enough to get started with your first Excel PivotTable. 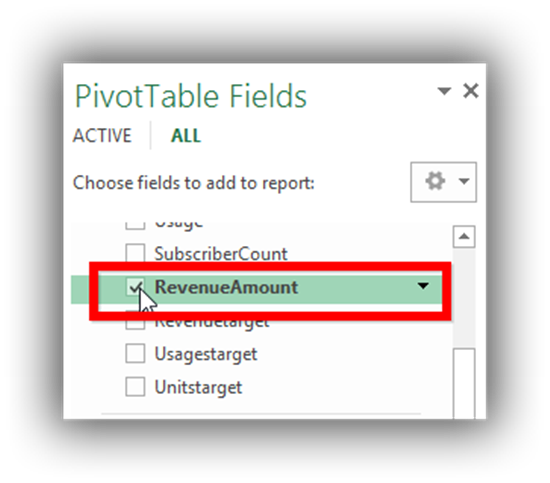 I now open the Invoice table and select the RevenueAmount field. 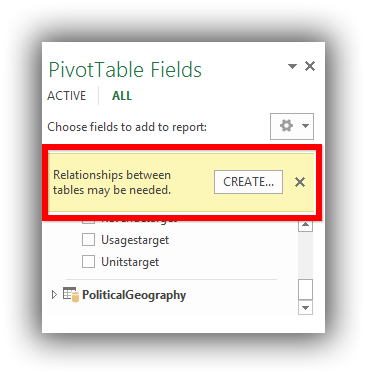 When relationship between tables are already defined in the underlying database relationships will automatically be created in the Excel Data Model during Import. Also when you are not sure how to create relationships Power Pivot you can use Power Pivot to detect and create relationships automatically. 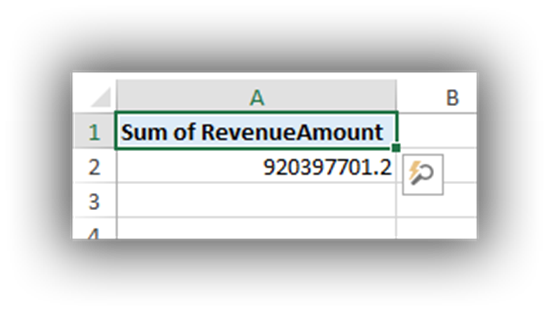 In this blog post we created our first Excel data model, in part II of this blog post we will create additional relationships and start using DAX to add business logic to our Data Model.